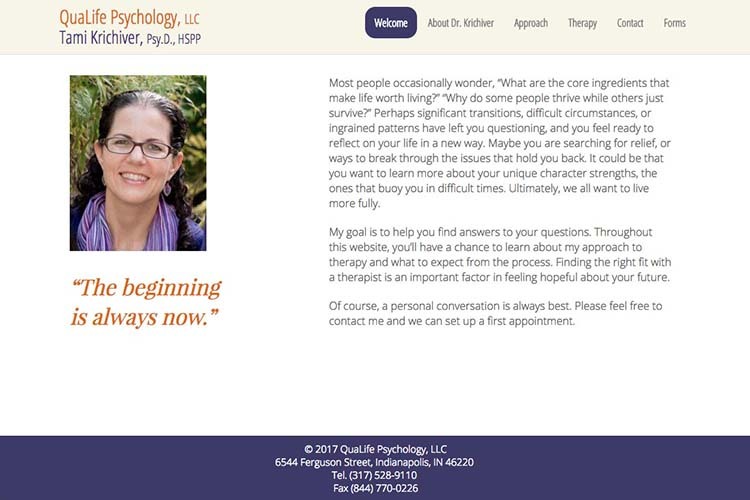 For the design for this therapist website, Tami Krichiver asked for something to suggest doing depth work, uncovering things; something with a sense of nature and something playful (even though, as she said, the work is “more like someone struggling up Mount Everest”). 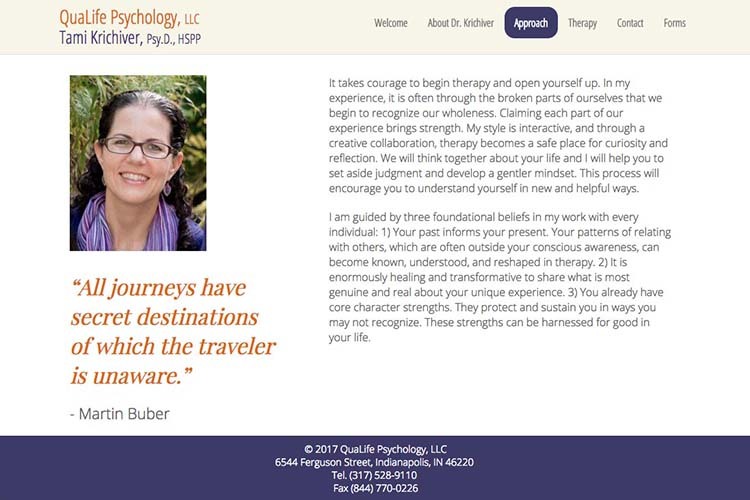 The challenge was to find the balance between a bright, optimistic colorful look with the need to address the fact that therapy is hard work. 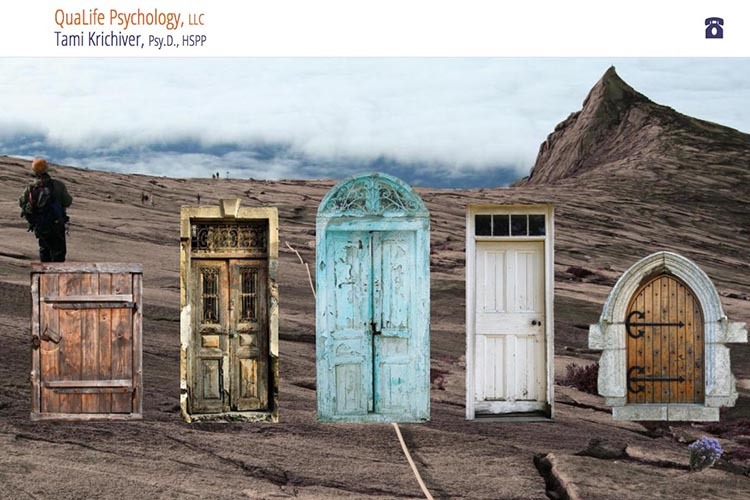 And so we tried these doors on a mountain, through which the visitor chooses his/her entry point. The sub-pages are more straightforward but repeat the playful door colors as the visitor hovers over the links. The result is a site which very much starts with an invitation to take a first step while at the same time affirming the attainability of goals. 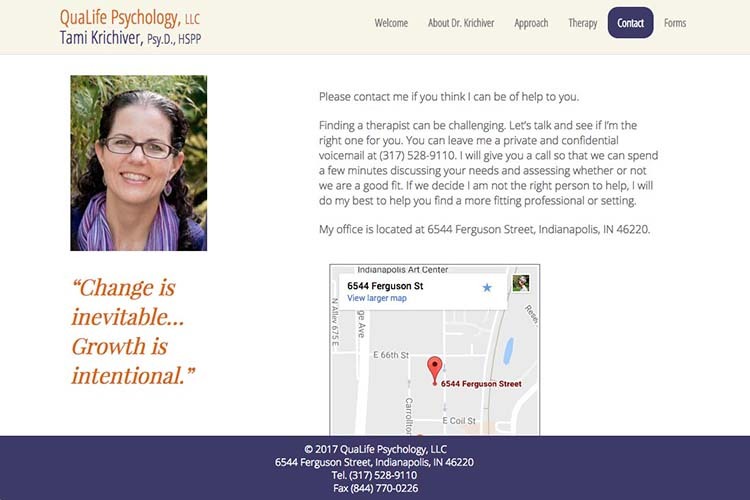 The site’s informational pages are then simple and frictionless, encouraging a visitor to contact the therapist.